Though rivers remain high in Otago, forecast weekend rain is not expected to bring levels above those seen earlier in the week, the regional council says. 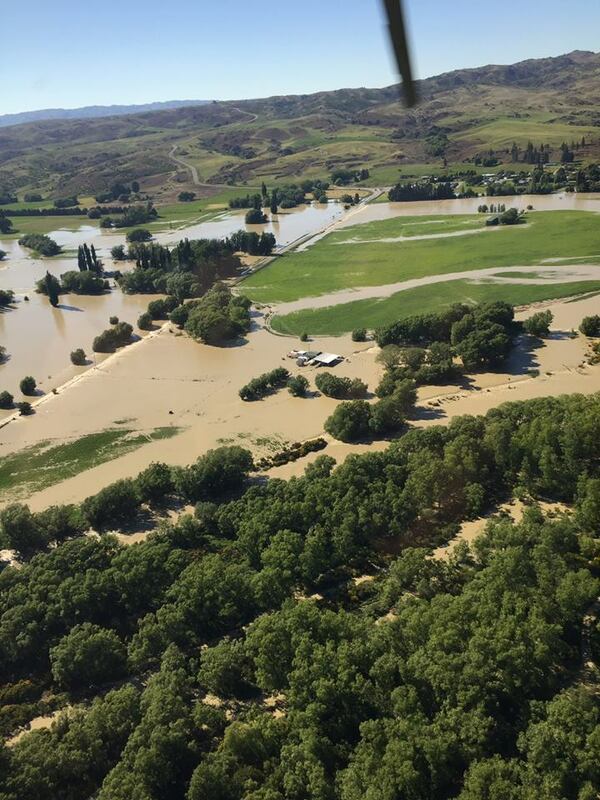 The Manuherikia is still in flood but has now peaked, the Otago Regional Council said in a statement late this afternoon. Snowmelt may continue to feed into the river, but with no significant rain forecast in this part of Otago, flows were unlikely to exceed today’s peak in coming days, it said. Earlier in the day, the Ophir district was on standby for sandbagging as the swollen Manuherikia continued to rise. Sandbags were available from the Ophir Hall for residents. Elsewhere, rain and snowmelt may slow drainage of the Taieri, which was expected to remain high throughout the weekend. The East Taieri Upper Pond was still very full and draining very slowly. While the Clutha remains high it was expected to continue to fall slowly, with no rain forecast in this catchment over the weekend, ORC said. In North Otago, rainfall may approach MetService warning criteria on Sunday. This could see the Kakanui rising, though it was not expected to reach the levels seen earlier in the week. ORC staff would continue to monitor flows and flood schemes closely through the weekend, with flood managers and field staff rostered 24/7. In Southland, the Waikaia area was still in flood due to snow melt and warnings remained in place. Contractors were monitoring the situation throughout the region. Meanwhile, the MetService says daytime heating and local wind convergence were expected to produce a few showers about inland parts of the South Island this afternoon and evening. Some of these showers could be heavy. There was also a low chance of "one or two" thunderstorms about inland parts of Southland and Otago in the afternoon and early evening, which could bring heavy rain and hail. Drivers in the South should still take care on the roads as some remained closed due to flooding, while others still had surface water on them. In the Clutha District, Rongahere Rd has been closed until further notice due to the danger posed by hanging trees. In a statement this afternoon, the district council said it had received reports of people driving through Rongahere Rd while a logging contractor was inspecting what trees needed to be cleared. "We urge all motorists to respect the road closure and stay off the road till it is opened. "If you drive on closed roads you will be doing so at your own risk as you may not be insured if you have a crash and you are putting council staff and contractors in unnecessary danger." It said roading crews were working hard to get the roads open but road users need to be aware that there was a fair amount of seal damage that had not been signed. Many roads in Central Otago remain affected by heavy flooding. The Southland District Council said Fleming Rd and Mataura Island-Titiroa Rd remain closed and were likely to stay shut until Saturday. In the central area, West Plains Rd remains closed but may be open tonight with care. Flooding has receded on the Riverton-Otautau Rd which was now clear. The Clutha District Council says Tapanui residents should continue to watch their water use after this week's widespread rain and flooding. It said reservoir levels have remained static today with no increase. Contractors have fixed the supply line to the Water Treatment Plant as of 3pm. However, the council urged the community to remain highly vigilant in regards to water use. A water tanker is located opposite the Information Centre for the Community to collect drinking water. "We aim to have an increased reservoir level overnight." A boil water notice remains in place for Tapanui. People must boil any drinking water for one minute before drinking it. This includes any water that will be consumed, such as water to brush your teeth, food preparation and washing food that will not be cooked e.g. salad vegetables and ready-to-eat fruit.